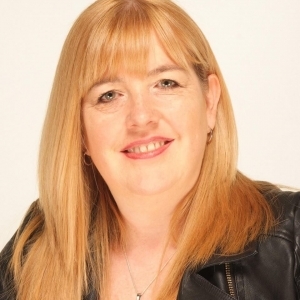 This week I am pleased to welcome Lynda Stacey back to my blog. 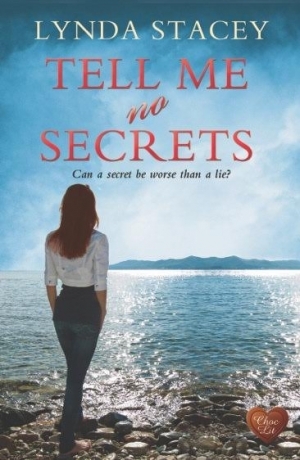 Lynda was here last summer when her debut novel, House of Secrets, was published by ChocLit and now she is back to talk about her writing and her second book, Tell Me No Secrets, which was published earlier this week. Your first novel, House of Secrets, recently received its 100th 5-star review on Amazon. That's a huge achievement. At what point did you realise you had such a success on your hands? I must admit, I did get really excited when it got into the Top 10 of Romantic Suspense. But I still wouldn't be so bold as to call it a success. I watch the numbers very carefully and I read all the reviews and try and learn from what they say. With a successful first book, and high reader expectations for book 2, did you panic about your follow-up novel? In a word, yes. I panic about everything and I fully appreciate that the whole reading process is subjective and that not everyone will like it. All I can hope for is that the majority will love it and that I get the opportunity to keep writing. In House of Secrets, you used a real place as the setting for the story. In fact, you did it so well that the house became almost another character. Have you used a real setting again? Tell Me No Secrets is set in North Yorkshire. The villages of Ugathwaite and Caldwick are both fictional. However, Parker & Son's office is in Bedale and there are also scenes set in both Whitby and at Richmond Abbey. On a more technical note, how long did Tell Me No Secrets take to write? Are you a 'don't get it right, get it written' person, who dashes through the first draft? Or you someone who writes more slowly and carefully, so as to have as perfect a first draft as possible? Tell me no Secrets began five years ago. It's changed and changed over the years and has had many re-writes. This book was originally called Broken Jigsaw and was short listed for the 2013 Festival of Romance, New Talent Award. It was also my 'book baby,' the very first whole book I ever wrote, albeit it now bears little resemblance to the original manuscript. What do you hope reviewers will specially pick up on in your new novel? I hope they pick up on the diverse relationships that Kate has with everyone around her. She's very close to her twin sister, but poles apart from both her mother and father and then of course there's the relationship she has with Rob. He's manipulative and mean, but Kate stays with him because she feels 'lucky to be loved'... until of course she meets Ben Parker, who is the total opposite of her fiancé. 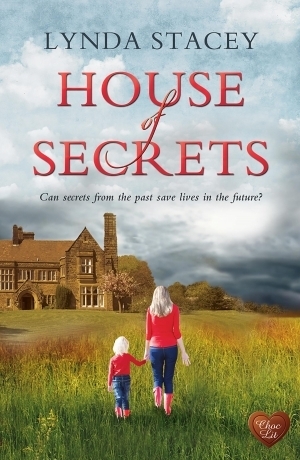 Having written House of Secrets and now Tell Me No Secrets, are you going to be known as the 'Secrets' author in future? More titles in the same vein? Yes... I guess I really will end up being the 'Secrets' author,lol. I love branding and after a discussion early on with my publisher, Lyn at Choc Lit, we decided that the word 'secrets' should be in the titles. So, we have House of Secrets, Tell me no Secrets published and upcoming will be House of Christmas Secrets (a sequel to House of Secrets) which should hopefully come out late this year and Twisted Secrets, to be published early next year. Your publication day earlier this week was highly unusual, to say the least. Could you tell us a bit about that? And what was the day like for you? Choc Lit wanted to do a secret reveal. They have a lot of Choc Lit Stars, who read and review for them all the time and it was felt that to give them the honour of not only revealing the cover, but also being the first to get the opportunity to review it, would be a great idea. It was also hoped that by keeping some mystery behind the book, lots of people would buy it on launch day - and they did... Tell Me No Secrets very quickly shot up and into the Top 100 of Romantic Suspense. I was very happy. Can a secret be worse than a lie? Every time Kate Duggan looks in a mirror she is confronted by her guilt; a long, red scar reminding her that she was ‘the one to walk away’ from the car accident. Not everyone was so lucky … On the surface her fiancé Rob is supportive – but the reality is different. He’s controlling, manipulative and, if the phone call Kate overhears is anything to go by, he has a secret. But just how dangerous is that secret? When Kate begins work at a firm of private investigators, she meets Ben Parker. His strong and silent persona is intriguing but it’s also a cover – because something devastating happened to Ben, something he can’t get over. As Kate and Ben begin their first assignment, they become close. But, what they don’t realise is how close to home the investigation will bring them, or who will be hurt in the process. Thanks, Jen and Kate, for your comments. Jen, I'm glad you enjoyed the interview; and yes, ChocLit covers are always worth a second look, aren't they. Berni Stevens is such a talented and sympathetic designer. She always catches the essence of the book so cleverly. Kate - what a coincidence, you and Lynda both using your New Talent books as your second published novels. You're right about not throwing away old writing. Just the other day I was delighted and relieved to dig out something I had discarded some time ago. Thanks for dropping by. Congratulations on your new release, Lynda. I enjoyed hearing about your book and writing life. Yet another gorgeous Choc Lit cover too. Thanks to you and Susanna for an interesting interview. Hi, Wendy. Good to hear from you. I'm glad you enjoyed hearing about Tell Me No Secrets. Thanks for dropping by, Kirsten. I always consider an interview with a published writer a success if readers of the interview end up wanting to read their books. I hope you enjoy them. Hi Carol, thank you so much for your comments. The artwork is beautiful isn't it... and yes... Susanna, is right, it is Berni's work. I like the fact that you can't see her face. It gives them an air of mystery. Carol, how lovely to hear from you. I'm glad you enjoyed Lynda's blog interview. I wonder if the cover illustrations were done by Berni, who does so many of the ChocLit covers? Having the figures facing away from the reader adds to the sense of mystery. Wonderful insights and such clever collaboration in writing and artwork. An inspiring blog with a peep inside at Lynda's success. A real Sunday treat. Thank you! Yes, I did read Moira's article on your blog. I was fascinated at how similar we were. I too used to work in dentistry and I love stationery so much, I'm now the Sales Director of a stationery company. Thank you, Moira. I'm glad you enjoyed the interview. I'm sure Lynda will be delighted to receive your good wishes - especially if she read your own interview last week. Thank you for your lovely comment, Jan. I agree - it is wonderful to anticipate a new book by an author whose previous book you loved reading. I hope you will enjoy Tell Me No Secrets as much as House of Secrets. As for being attracted by that word 'secret', I once read an article about how our brains are pre-programmed to want to answer questions and unravel mysteries, so maybe that is part of why Lynda's first novel was so successful and why her second looks like following suit. It's always a pleasure to hear from you, Jan.
A very interesting interview, Lynda and Sue. Thank you. I loved 'House of Secrets' and shall look forward to reading 'Tell Me No Secrets'. I like the sound of the diverse relationships in the book and finding out about Rob's dangerous secret. In fact, I'm drawn to books with 'secret' in the titles! I hope the book is as successful of your first novel, Lynda. Good luck.